I'll be honest, I've not been feeling super crafty this summer. I've had a few things keeping me from the craft room, but even when I have unfettered time, I've just not had the excited "I wanna make this right now!" vibe. I'm trying to be a bit more in the moment of summer with the family and less Mom's alone crafting in her cave. While it feels great in some ways, it also makes me feel a bit uncreative/unmotivated. Sigh. The one exception is quick & easy projects. If it's something I can make fast and still get that rush of making something I really dig, then I'm for it. 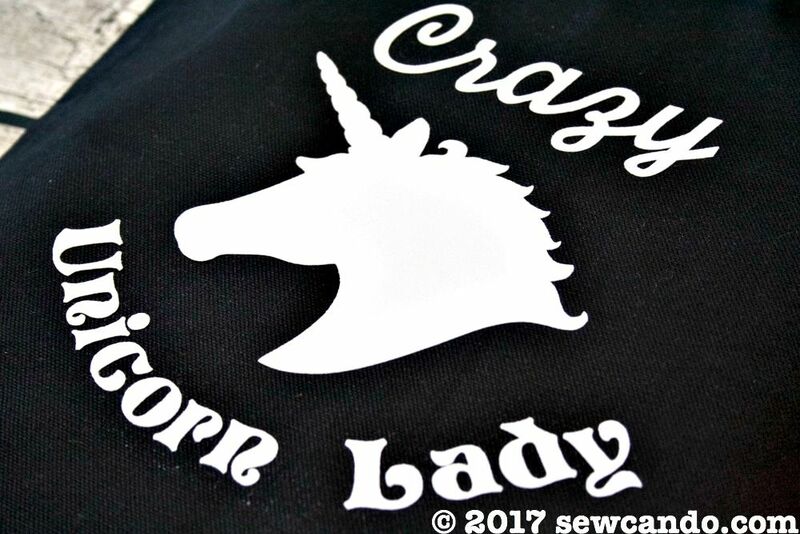 That's today's project: my Crazy Unicorn Lady Bags. 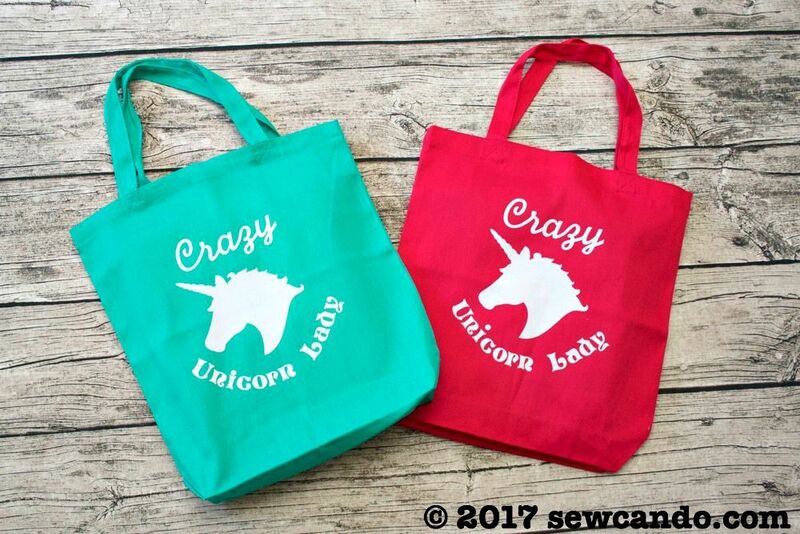 With unicorns being all the rage these days, why not express the love of the mythical horned horse with a fun bag? It's fast to put together, so I made several colorful versions too. Gotta show off that unicorn love! 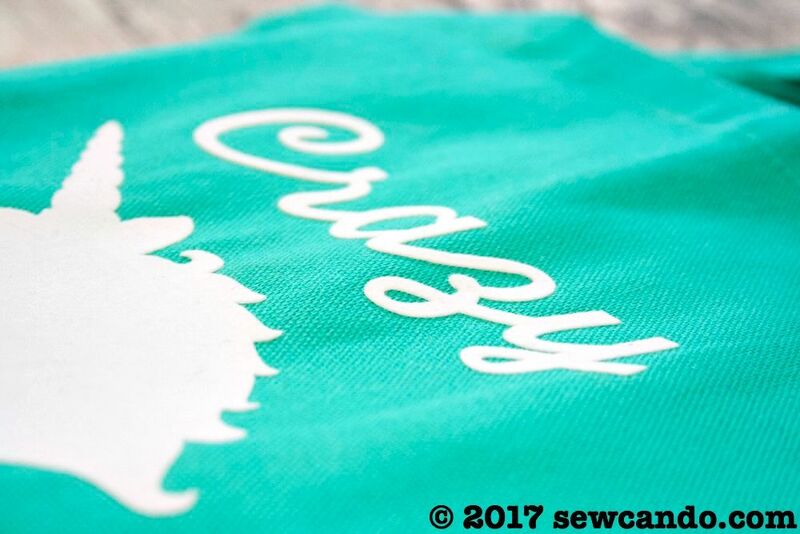 I used my Cricut Explore to cut out my heat transfer, but it could be done with any cutting machine or even by hand (although that would probably negate the quick & easy aspect). 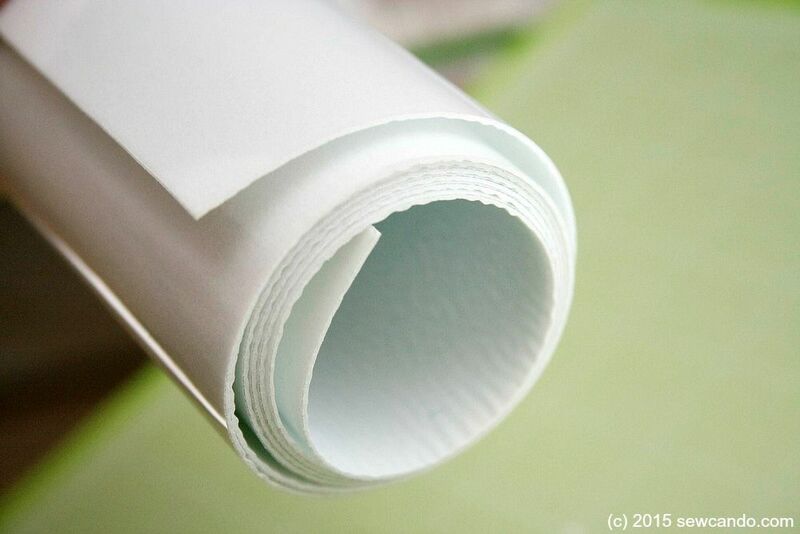 The material goes face down on the mat, with the plastic carrier still on. The machine also needs to be set to heat transfer to cut. Cutting it out with the machine on the vinyl setting was super fast, but it's important to set the cutting to mirror so the right side faces out. Fuse time! I always iron the tote first so it's warm when the transfer is placed on it - this helps it adhere better, since I don't have a fancy heat press. Then I use a press cloth between the iron and plastic carrier when adhering the transfer. When cooled I turn it inside out and iron on that inner side too. Then I peel the plastic off when totally cool. Keeping the iron temperature moderate - cotton no steam - is key too. 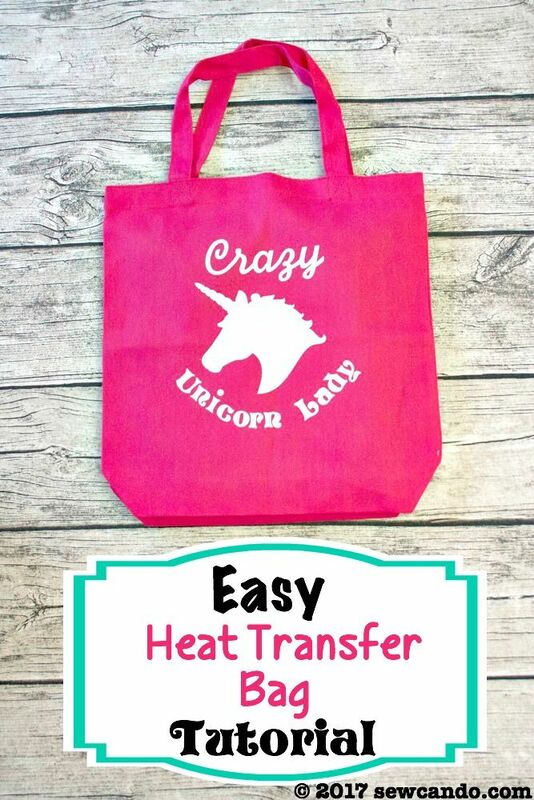 Higher temperatures won't make it stick any better, just wreck the transfer. 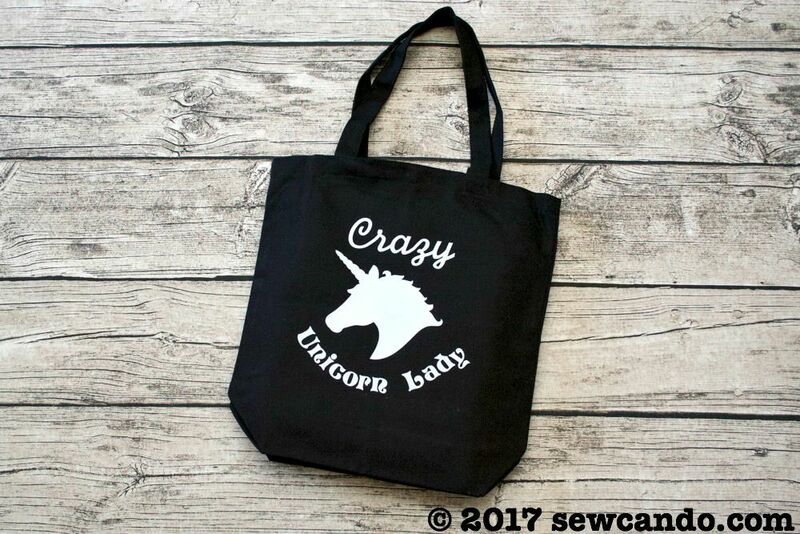 When it's cool, the bag is ready for any unicorn lover! 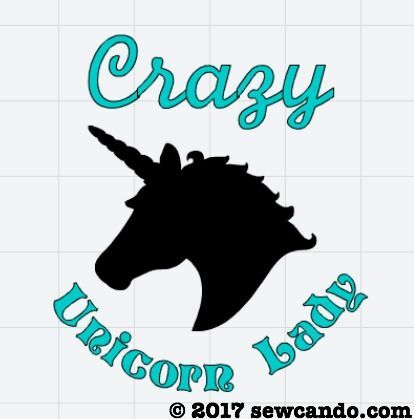 Are you feeling the unicorn vibe this summer or is there some other theme that's caught your eye?